The minute Yik Wah, Suk Yu, and Chi Chi arrived home, a servant girl ran out to greet the three siblings. 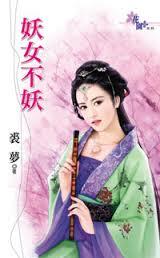 Without paying much attention to her two young mistresses, she headed directly toward Lam Yik Wah. A young man, delicate in build with almost feminine features, walked around in the crowded marketplace, eyeing the vendors and calmly fanning himself with an expensive white fan. He strolled past Lam On City’s most famous house of ill repute, Pearl Fragrance Pavilion, then suddenly backtracked to the brothel’s main entrance. Curiously, he glanced up at the balcony occupied by seductive women waving their handkerchiefs and calling to the men on the streets. He seemed to ponder for a short moment. Suddenly, he smiled mischievously and snapped his fan shut before walking into the notorious establishment. Suddenly, from within the darkness, something reached out and grabbed Yan’s ankle. Surprised, she screamed as she glanced down at the man sprawled on the ground, clutching at her leg. The clouds chose that very moment to separate like a curtain. A beam of bright moonlight cut through the darkness, slashing across the man’s horrific visage. Blind, sunken eyes gazed sightlessly at Yan from a face as pale as a ghost. Bloodless lips stretched into a long thin line in some resemblance of a grotesque smile. The man grunted something, the whimpering sound disturbing, like a suppressed scream of agony that could not be released through the unmoving lips. With his facial muscles paralyzed, his face remained forever frozen in an expressionless mask, except for the eerily elongated lips, wanting to beg for help, but unable to. The story started 5 years ago when Situ Wu approached his friend, Da Bao to pass a love letter to his sister Xiao Bao, to pass to her friend, Ruo Lin. Xiao Bao mistook that the letter was meant for her and turned up for the date meant for Ruo Lin. Time-jump 5 years later and Xiao Bao met Situ Wu again. He was the lead singer of a boy band and she was shortlisted to become their personal make-up artiste. At first, she tried to decline the assignment but Situ Wu found out who she was and insisted that she became their make-up artiste so that he could pay her back for some of the misery she had caused him when she left him (and the country) 5 years ago. How dare she feign ignorance after stealing his first kiss? Let him jot her memory and when she (finally!) admitted to her wrong, he demanded a kiss in return. She agreed… and asked him to close his eyes? If it was what he thinking– hot, steamy, and all sorts of R(A) – should their audience closed their eyes too? But obviously, what she wanted to do was vastly different from his imagination. She must be tired of living to play with him, and he swore not to let her off that easily. But as time went by, it was not clear who was clinging to whom and he started to wonder. A love that came with a price tag was tiring despite being intriguing. And worse was the fact that she seemed to love her younger brother much more than him. 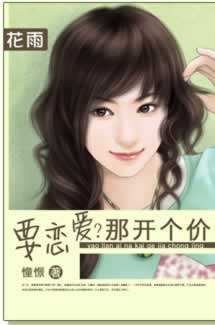 Click here to read “Name a Price if you want to Date ” in chinese.